Come join us for a week-long mission experience. Serve alongside us and our partners as we build community together through serving the city. We have skilled staff that will lead you in meaningful projects, programs, and times of praise, study and fellowship. The participant fee covers construction supplies, projects, outreach activities, meals, lodging and devotional materials. Trips are open to all ages and family groups are welcome. Praise/devotions/teaching - Since worship is the focus of the week, we have times of praise, personal devotions, and teaching to prepare and challenge us throughout the week. Construction projects - CrossRoads Missions’ staff will lead you in a wide variety of construction projects for people of all skill levels. Trained staff and interns will supervise work including concrete, drywall, tile, roofing, painting and other various jobs. 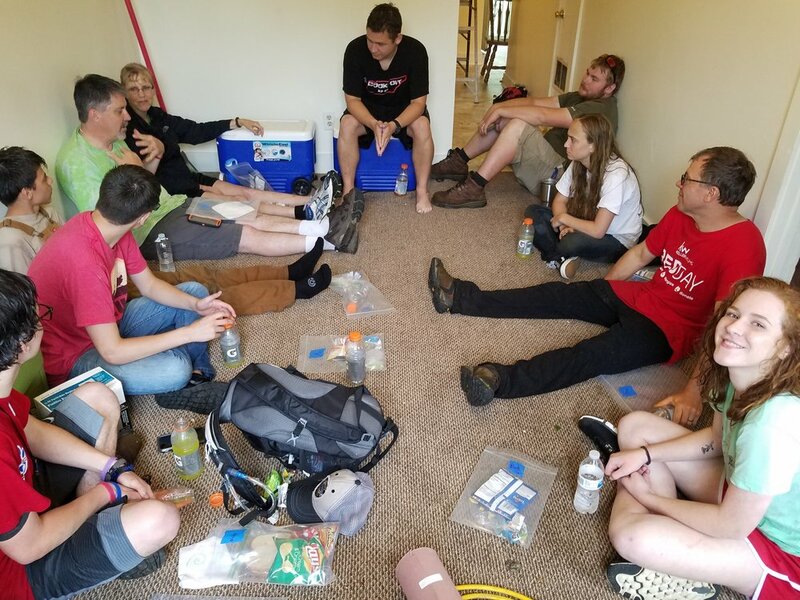 Community programs - During the week your team will spend time engaging and serving alongside other workers from local churches and ministries across the nation as we work together towards community transformation. Fellowship - Your team will spend time in fellowship with other workers from local churches and ministries across the nation, and will participate in selected community activities in the neighborhoods we serve. Housing is included as part of the fee. Groups will stay at Hotel Louisville conveniently located at 2nd and Broadway in downtown Louisville. All rooms will be on the same floor of the twelve story hotel. Hotel amenities include exercise room, free Wi-Fi, gift/snack shop, meeting rooms and restaurant. Rooms will accommodate from 2 to 4 people per room and have one queen and one king sized beds. Our standard rates below are for 2 people per room. 10% Discounts are available for groups choosing 3-4 people per room.